Homegrown | Del Barber (EP.01) from Camren Friesen on Vimeo. 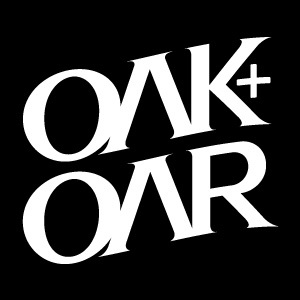 We are excited to present the first episode of Oak + Oar’s ‘Homegrown’ series. The series is quite simple. Over the course of the year we will be presenting a hand full of episodes as we catch up with some of the homegrown talent we find oursleves surrounded by. The video features will vary in approach as we seek to capture the individual in manner that is natural to their craft. Though the concept of catching up with creative minds is nothing new, we hope to present some of the Homegrown talent in this great city, province and country that might not yet be on your radar. Del Barber is one of those all around talents. He seems to be a natural at everything be it breezing up and down a sheet of ice with a puck on a string to, as you will see in this video, singing/songwriting. We’ve known Del for 10 years or so, back in the days were I would walk by his dorm room and witness him plucking away on his newly acquire Taylor. Those days are far behind as Del has emerged as one of the next wave in Canada’s proud tradition of songwriting talent. Del’s album “Headwaters” comes out today and though you can stream it on SoundCloud I highly suggested you go buy it. It’s a follow up to his Juno-nominated and WCMA award winning album ‘Love Songs For The Last Twenty’. The recording process took place both here in Winnipeg and in Maine and has been best described as “blending a traveler’s sense of place with a wanderer’s sense of time, simultaneously urgent and patient, measured and confident”. I recommend giving it an uninterrupted listen from start to finish and once that’s done I assure you that you’ll find yourself back on ‘Right Side Of The Wrong’. I must express that this series would not be possible without one of the brands close friends, Cam, (Nice! Productions) here in the city. The idea came to mind one night while we were chomping away on some wings. He seemed interested as I spewed, what seemed to me to be some far fetched nonsense, but Cam was excited about the idea. Shortly there after we caught up with Del, who gladly cleared his schedule for a little loft session. I would like to express my gratitude to Michelle, Stu, Gilles and Paul at Paquin and Del for allowing us the opportunity.